CD Digipac with 36-page booklet, 26 tracks, playing time 64 mns. The first Phil Phillips LP or CD! Sea Of Love is one of all-time rock'n'roll classics. It has been revived by Robert Plant, titled a movie starring Al Pacino, and Cat Power's version is featured in the new Oscar-nominated movie 'Juno.' The remainder of Phil Phillips' catalog is incredibly strong. Nine songs are released here for the first time ever! Iggy Pop, Phil Phillips' original Sea Of Love is still far and away the CLASSIC. The reason why is the VOICE of Phil Phillips, which is still strong today. The CD contains all of his original Khoury/Mercury recordings features NINE TOTALLY UNISSUED TRACKS, including Phil's darkly powerful interpretation of 'Unchained Melody'! 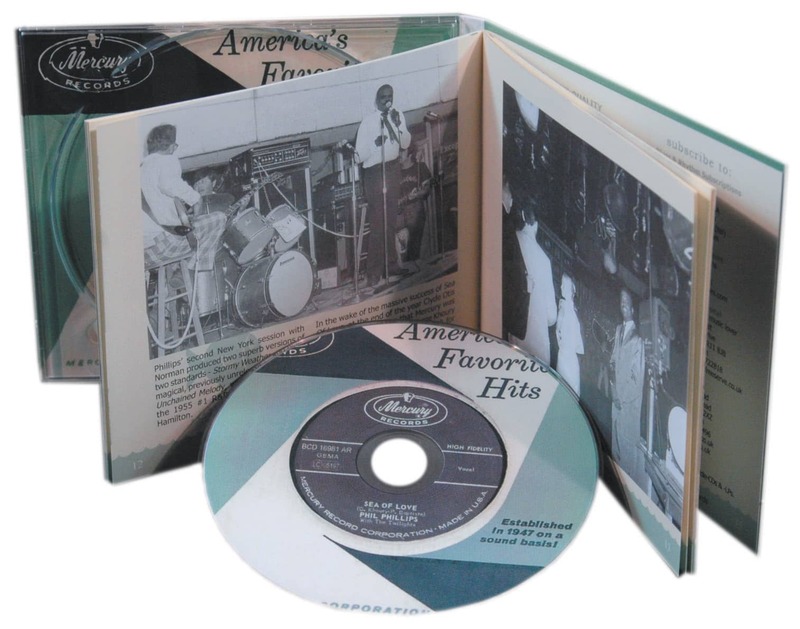 This HISTORIC CD is a MUST HAVE for all fans of classic R&B, Swamp Pop, Rock 'n' Roll, and just soul-inspiring, TIMELESS, balladry. 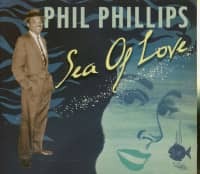 Though Phil Phillips has been honored many times for his classic song Sea Of Love, he never enjoyed great financial rewards, or even much of a career in music from it. 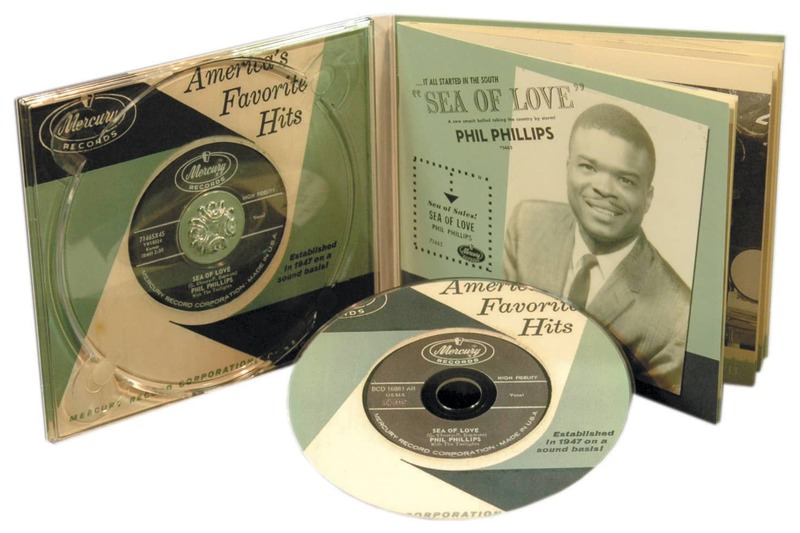 In fact, despite his song's legendary status what you hold in your hands is, incredibly, the first ever legitimate Phil Phillips album. 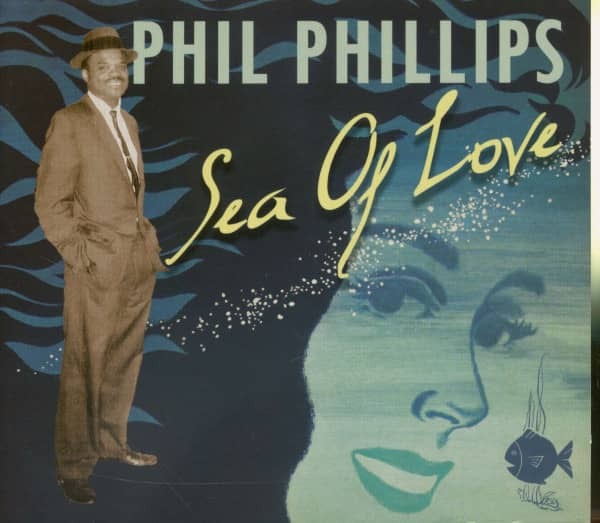 Phillips was born John Phillip Baptiste on March 14, 1931 in Lake Charles, Louisiana, the port city on the Gulf of Mexico near Texas. Raised by his mother in a poor and strictly religious life, Phil grew up on gospel music. "While I was in high school we formed a group called the Gateway Quartet," recalls Phil. "We sung in churches, auditoriums, school, TV—practically everywhere around. We were real popular." The Gateway Quartet even made a trip up to Nashville in 1953 to record a set of spirituals for Dot Records. Phil sang lead, with his brothers Edward and Elijah on first tenor and bass, respectively, and Mack Robinson Lyles on baritone. Phil always had a powerful voice, with a peculiar French Creole accent that made it entrancing. After a brief stint in the Naval Academy at Annapolis, Phil came home and became a bellhop at the Chateau Charles Hotel in Lake Charles. At that time in the late '50s, the popular black acts around the city performed rhythm & blues with a Creole flavor – pianist Katie Webster, Rockin' Sidney, and the powerhouse group Cookie and the Cupcakes. But Phil's tastes tended to big band music and ballad singers. "We listened to a lot of music like Fats Domino, Arthur Prysock, Roy Hamilton, and I was crazy about the Golden Gate Quartet." Hurricane Audrey devastated Southwest Louisiana in June 1957, and it inspired Baptiste to write a song named after it that combined his gospel influences with the elemental theme would run through his most famous song. Phil also had a girlfriend named Juella whom he named a beautiful ballad after. During this time, Phil made a connection with the Creole music tradition. "Clifton Chenier's uncle, Morris Chenier, was the first one who showed me how to tune the guitar to match my voice. And when I learned how to tune that guitar, that's how I wrote 'Sea Of Love.' Basic chords—that's what he used to play—in Spanish tuning, like." It was also in 1957 that Phil's new girlfriend, Verdie Mae Thomas, inspired the song that would become his claim to fame. "I had a lady friend of mine that I was dating at the time. And she was always complainin' about I didn't love her. So I had my guitar in my hand. So I said if I can only convince her I'd take her out on the sea of love somewhere. I went out on the front porch and sat down and that's when I composed the song. It just appeared in my mind—out on the sea of love—a body of water, wavy, cool, and fresh out there. Quiet." Phil even paid to record his song at radio station KPLC with just his guitar to accompany his voice. A fellow bellhop heard the demo record and told Phil he had a million-dollar song. Soon afterwards, Baptiste went on a sojourn to Fresno, California. Hearing that Sam Cooke, a former gospel singer, was in town, Baptiste went to his hotel and sang his song for him. Cooke was interested, but Phil told him that he wanted to record it himself and become a star. However, he returned to Lake Charles and kept answering the bellboy call. Soon serendipity finally called the shy singer's bluff. One day the gas meter reader from the Gulf Utilities Company heard Phil singing it at home with his guitar and told him he had a hit. The meter man even told record store owner George Khoury about Baptiste and his song. The story intrigued Khoury so much that he paid Phil a visit. Soon Khoury put the singer together with Ernest Jacobs, the pianist and arranger of Cookie and the Cupcakes, who had just enjoyed a national hit through Khoury with the crying swamp pop ballad Matilda. Jacobs worked with Phil for two months on the song. "Ernest Jacobs was good," remarks Phil. "He arranged 'Sea Of Love' and everything. He knows how to get a hit. He knows how to raise that music." Customer evaluation for "Sea Of Love - incl. 9 prev.unissued masters"